Narayana Bali is a form of offering special Bali (sacrifice) for giving peace to the souls of persons who might have suffered unnatural death and persons for whom funeral rites Shraddha Karmas have not been performed. Narayana Bali should be performed by those who feel that any of the kin or relatives are deprived of regular annual ceremonies. 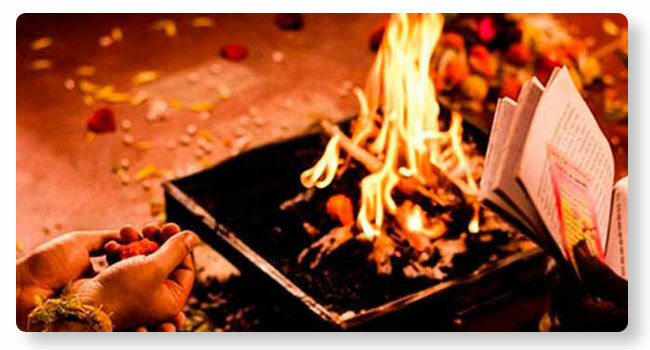 However, the priest/astrologer should be consulted before getting this Seva performed. Helping deceased souls to continue its journey for further transmigration there by it helps to performer or karta to rid of evil effects of pitru dosha which might benefit financially help in progeny there by mental peace.